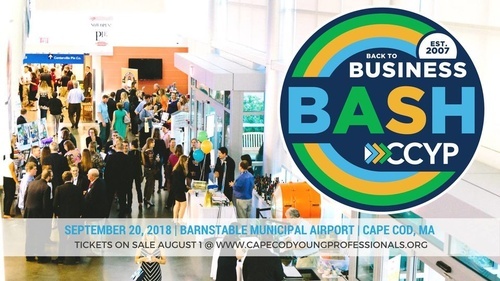 CCYP’s Back to Business Bash is the most highly anticipated networking event on Cape Cod, attracting nearly 1,000 attendees each year for a night of live music, local food and drink, and exhibitor booths featuring Cape Cod-based businesses. The Bash is an extraordinary opportunity to connect with fellow community members and colleagues while enjoying the best that Cape Cod has to offer in food, drink, entertainment, and community. Make plans to join us for the biggest party on the Cape! The 12th Annual Back to Business Bash is presented by the Cooperative Bank of Cape Cod. Tickets purchased by August 31st will be mailed out in advance to the address provided by attendees during registration. Tickets purchased Sept. 1st or later must be picked up on the night of the event at Will Call, beginning at 5:30 PM. Will Call tickets are non-transferrable.